Be sure to check out the 1/2 X 28 HK, Walther, Colt, 22LR Barrel Adapter we offer! This custom adapter allows you to simply unscrew the stock flash hider and quickly and effortlessly convert the barrel to 1/2 X 28 threads. This adapter can be mounted permanently & provides the perfect index without any loss or deviation of zero. 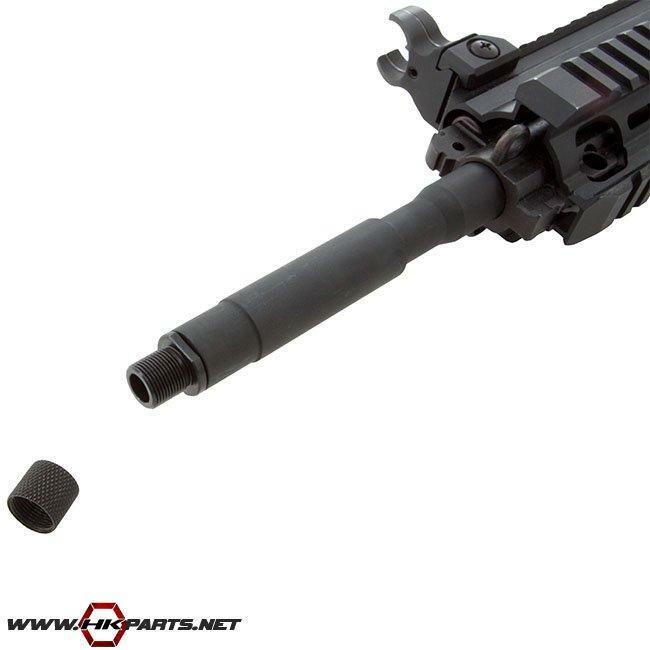 This is the one & only adapter made for the Umarex HK 416D & Colt M4 & MP5-A5 .22 style rifles, so be sure to check it out!